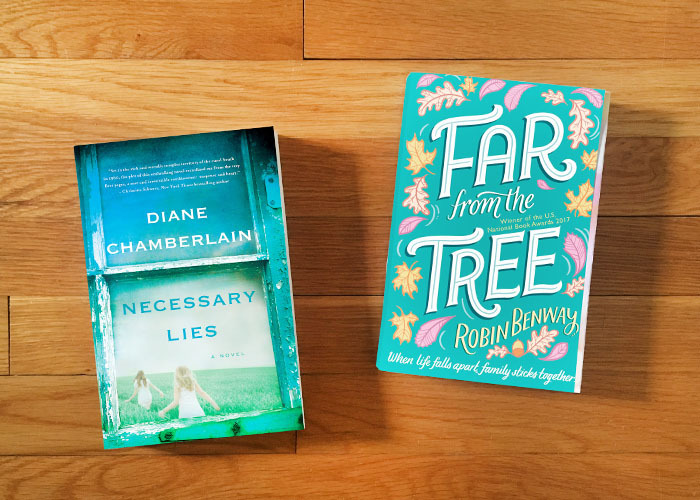 It was another slower reading month for me, but hello—can you even believe March is already over? A quarter of the year is gone already, but I’ve completed 40% of my Goodreads Reading Challenge, bringing me to a total of 10 books so far this year. This story was a heartbreaker, but I couldn’t put it down. Fortunately, it had a happy ending. In the 1960’s, Jane Forrester is newly married to a doctor who feels she should settle into her new role as a young society wife: join the Junior League, attend tea and benefits, have supper on the table by the time he arrives home, and be ready to have children immediately. Unfortunately for him, Jane is too independent and can’t see herself living that life. Against his wishes, she takes a job working for social services in an attempt to do something good for others. She soon discovers that her middle class Raleigh upbringing and husband’s social status have been shielding her from the poverty and heartbreak that is living nearby in the surrounding rural counties. A second perspective in this story comes from Ivy Hart, a 15 year old living on a rural tobacco farm with her 17-year-old sister, two-year-old nephew, and ailing grandmother, partially in exchange for help in the fields and partially from the pity of the landowner, who was close with Ivy’s deceased father. As one of Jane’s new cases, Ivy struggles to learn to trust Jane the way she had her last social worker. Very soon after beginning her new position, Jane discovers that one of her responsibilities is to provide paperwork recommending her patients for sterilization, often without the knowledge or complete understanding of the patient. When coworkers begin pushing Jane to recommend sterilization for Ivy, Jane decides she can no longer do her job without inserting her private feelings on the matter. From there, things get a little wild with this story. I don’t want to share any more because I don’t want to give away the ending, but I loved this story and have already passed the book on to my mom to read. I enjoyed how it effortlessly shifted between the different characters’ points of view, allowing you completely understand each perspective on its own while putting together the pieces of the Hart family’s backstory. And while this isn’t a true story, horrifyingly, forced sterilizations a were a reality for thousands of people in North Carolina until the late 1970s. I was first drawn to this book because it is centered around adoption. You can read about my connection to adoption here. Despite the fact that it was awarded 2017’s US National Book Award, I hadn’t seen it on anyone’s books lists, review sites, or on any charts. Have you seen this book floating around anywhere? The story is broken up into three points of view, which are all quickly connected. The first character is 16 year old Grace, who is pregnant when we meet her and has made the decision to place her daughter with another family through adoption. After Grace’s child is born, she deals with the grief and heartbreak of her actions, but it also raises questions in another part of her life: as an adoptee herself, who was her birthmother and what was her reason for placing Grace for adoption? I loved reading the different perspectives and seeing how differently each of these characters deals with the fact that they’re adopted (or have the potential to be adopted). Like true-life adoptees, everyone feels differently and reacts to their adoption in their own way and it was great for the author to show how complex all of these emotions and thoughts can be. Of course, this story ties everything up neatly by the end so everyone has a happy ending, which isn’t always going to be the case in these situations in real life…but sometimes it is. I really enjoyed this story and read it quickly. I recommend it for anyone who is interested in the complexities of adoption, or in just a good story overall. I read a third book this month that I will review next month, due to timing. PS, Tulip Fever just got added to Netflix! I finally watched it the other night and loved it. It had a stellar cast and it’s unfortunate that it wasn’t very successful in theatres. You can read my review of Tulip Fever from 2016 here. I have not read Diane Chamberlaine’s book yet. I’m a fan of her writing. I enjoyed the recipes in L’Appart: The Delights and Disasters of Making My Paris Home but the story line was too repetitive in the last chapters. I just ordered Paris In Stride: An Insiders’s Walking Tour. I'm a graphic designer, aspiring writer, and obsessive reader. Click for more about me. Some posts on Em Busy Living contain affiliate links. Click here to learn more.